Getting information on homes is often a lot of hassle. Either you have to chase down the agent or spend hours online searching for the property. 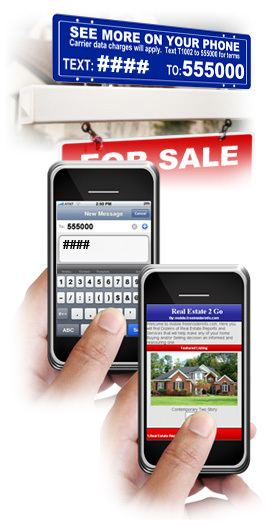 And when you phone for information on homes, you either get the runaround or - just as bad - an unwanted sales pitch! *Message and data rates may apply. Please see our Terms and Conditions of service before using the service or text HELP to 555000. You can opt-out of the Service at any time by texting STOP to the short code 555000. Please note consent is not a condition of purchase.